It was very calm night. 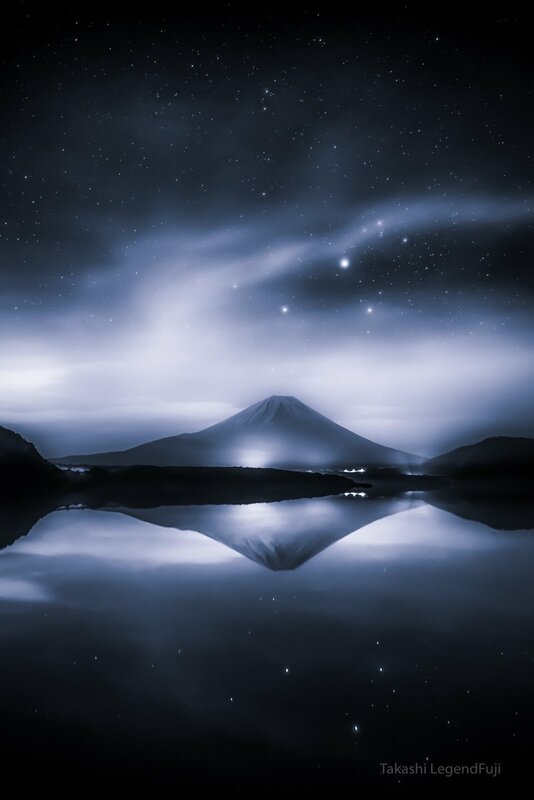 The stars and Mt Fuji reflected beautifully on the lake. 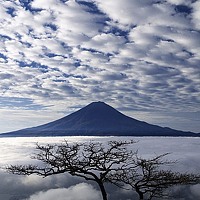 Clouds crossed above the mountain slowly. Very calm scene as if I were in the quiet forest. Thanks very much. Your gallery is wonderful! Here very fit lines of the poet Igor Severyanin!